We are overdue for our river clean up day. Everyone has been so busy and time has flown but we have a date set! 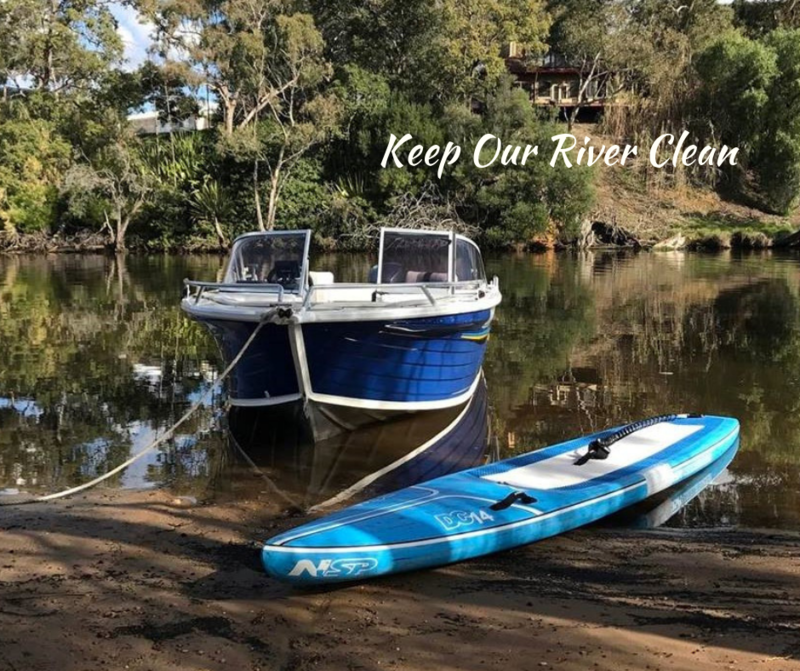 Keep our River Clean is scheduled for the 3rd March 2019 and I’ll have the trailer set up at Sandy Beach Reserve for those who would like to hire a SUP for $10.00 to participate on the water! Sticking to our usual format, several launch locations have been set out as outlined below and covers the Eastern corridor. You can do as short or as long as you like however we have limited the time to finish within 90 minutes. The locations below are just suggestions so if you’d like to start somewhere else please do. Kayakers and walkers are welcome and very much needed where stand up paddlers can’t access. 8.00 am: Start from your chosen location or from Sandy Beach Reserve, Bassendean if you’d like to hire a board. 9.30 am: Finish for a gathering at Sandy Beach Reserve for those who don’t have time constraints to see what we have collected. I’ll have bags and gloves available at the trailer on the day or collect from me at one of our SUP School locations. At 8.00 am on the dot check in to the events page and post “keep our river clean” so people can track our progress via facebook and see who is taking part. Dispose of your rubbish in the council bins provided at your launch location. Meet us at Sandy Beach Reserve, Bassendean (end of West Road) for a social gathering and bring a picnic breakfast/brunch if you fancy! If you come across fishing line that is too tangled to release, take a photo and note the location so we can report it to the relevant authorities. Secure a crate to your paddle board as a rubbish container. The launch locations are suggestions only so feel free to start somewhere else if you prefer. This stretch covers 20 kms from Belmont to Middle Swan. There is no pressure on anyone to cover a long distance. Take note of the comments about some of the locations just in case this affects you. Middle Swan Reserve, Caversham – New launch jetty installed. This area is not suitable for beginners.